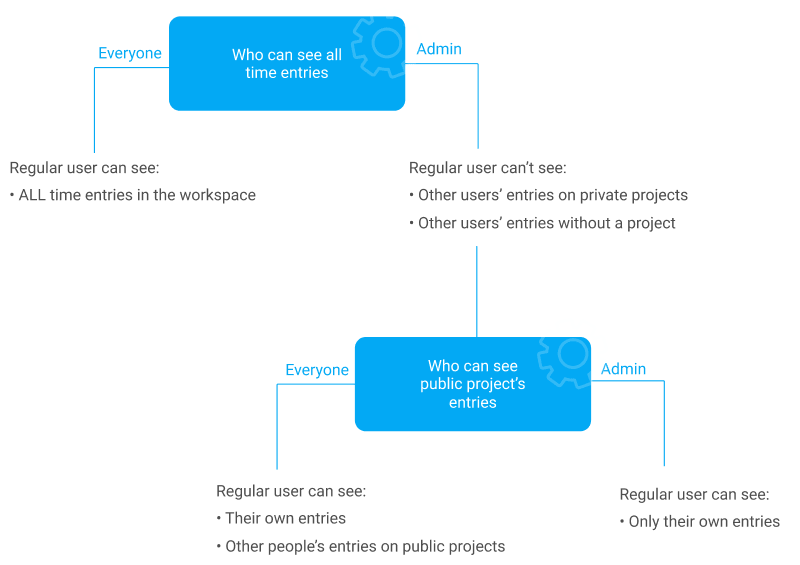 Once you set “Who can see all time entries” to Admins, regular users will only be able to see their own time entries and time entries made by other people on public projects. Further, you can set “Who can see public project’s entries” to Admins only, in which case regular users will only be able to see their own entries. Private time entries is an extra feature, which you can enable by upgrading your workspace. You can learn more about who can do and see what here.